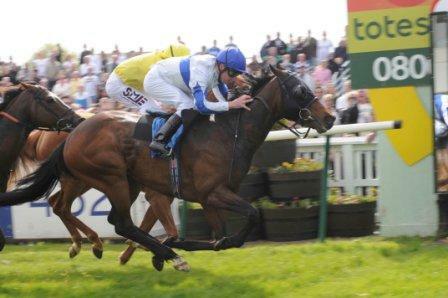 The Pinnacle Cup Straight Mile Series Qualifier (3.50) at Redcar on Tuesday features 16 runners, exactly half of whom have never won on the prevailing good to soft going, or softer, and just one of whom troubled the judge last time out. As such, a ‘shock’ result is by no means out of the question, so we’ve highlighted a couple that we think might have punters thumbing through their racecards. Bahama Moon made a bright start to the season, winning a similar race over course and distance, on heavy going, on just his second start for David Barron. He subsequently finished last on both attempts over 7 furlongs, but he ran a little better back over a mile at Thirsk in July – albeit when only ninth of 14, beaten 5¼ lengths, behind Ginger Jack in a 0-90 contest – and he’s another 2lb lower in the weights today. He’s obviously not without risk, but he’s attempting little or nothing more than he’s achieved in the past if he’s anywhere near his best. Haraz is still a maiden after 14 starts, which may tell it own tale, but the Acclamation gelding has run creditably on all five starts in handicaps since joining David O’Meara in May and wouldn’t exactly be winning out of turn. He was far from disgraced when fifth of 9, beaten just 2½ lengths, behind Dolphin Vista in a 0-105 affair over 1 mile 2 furlongs at Beverley ten days ago – from 2lb out of the handicap and carrying 1lb overweight – so must have an outstanding chance, off a 4lb lower mark, if able to reproduce that form over a mile. He has yet to tackle going softer than good, but taking chances is what we’re all about and he looks worth chancing. If you need one for the Tricast, Altharoos hasn’t won since last August, but has consequently been dropped 9lb in the weights since the start of the season and is starting to look well handicapped. Sally Hall’s 6-year-old ran his best race for some time when fifth of 14, beaten 3 lengths, behind Fuwairt in a similar race over course and distance last month. He has a squeak off a 2lb lower mark, dropping back into this grade for just second time in over a year. Sally Hall doesn’t have many horses in her Brecongill yard these days, but she still knows the time of day and Altharoos looks one to keep on the right side in first-time cheekpieces. Fingers crossed for the selections this week. A nice big win early in the week wouldn't go a miss! I've been on Hityah Media site, having a bit of a flutter on the roulette, as I'm off to Great Yarmouth (again!) soon, for a bit of a race track and casino break. A few of us go this time every year. Let's see how it pans out this time!